QPack Medical implements an effective methodology for validation of information systems, supporting the FDA, and the GAMP 5 rules and guidelines. QPack system can be in used in ant type of computerized system, such as ERP and IT systems, such as SAP and ORACLE, Laboratory systems such as Labware, In-house developments and Office utilities such as Excel. QPack Medical solution is applied not only during the IQ, OQ and PQ validation phases, but far earlier, from the analysis of the processes, Functional Requirement Specifications (FRS), risk analysis and SOP. There are many consulting companies that help companies generate the needed deliverables but without the right tools and processes, the validation process will be time consuming and will lack the required traceability. 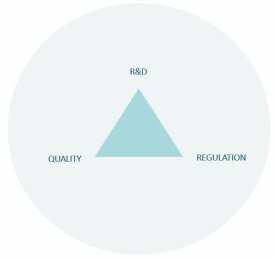 Fast ROI – implementing QPack Medical will add typically 3-4% to your production budget on the first year but our case studies show that from year two, our customers are reporting above 40% of efficiency increase and cost reduction for the administration of the development, risk and V&V processes. QPack Medical provides an up-to-date set of electronic records with complete traceability ready for audit on demand. Furthermore, as QPack Medical reflects your regulatory compliance map, it becomes obvious where there are inconsistencies, anomalies and missing items. This way, QPack Medical makes sure nothing falls between the cracks. QPack Medical fully controls and maintains the traceability of items, such as risks, test cases, test results, market/product/system requirements, functional requirements, meeting summaries, design reviews, action items, defects, safety and much more while capturing the complete V&V process. QPack Medical also manages all validation and verification activities. The QPack solution satisfies acceptable industry standards such as 21CFRPart11, IEC62304, GAMP5. By turning QPack and the DHF file into your company’s backbone management process, you ensure your business objectives and reduce operational risk. The QPack Medical tool emphasizes traceability and risk management. We have inconsistencies filters and alerts that guard your organization from unmitigated risks. We also monitor SRS without traceability, critical tests that have failed and customer complaint without CAPA.